Dorma’s unique inborn speaking gift was first publicly seen when at 6 years old, she recited Lincoln’s Gettysburg Address before 150,000 attendees for Rev. Dr. Martin Luther King, Jr., at his I Have A Dream Speech in Detroit, Michigan. Decades later her transformational speaking, writing and publishing garnered readers and listeners from Detroit to the Philippines. Her love of speaking lets her smoothly adapt to audiences from 10 to 10,000 in multiple venues. Dorma’s outstanding academic foundation and lifelong learning assure her presentations are relevant and well-organized, whether in a workshop, panel discussion, praying with someone or delivering a keynote speech. The Prayer gift God started in her as a child has manifested to her recording Mp3 prayers in areas of: Healing, Peace of Mind, Personal Crises and more. Through her own strength, spiritual and emotional growth, Dorma shares many proven solutions helping people successfully live through and transform their lives. 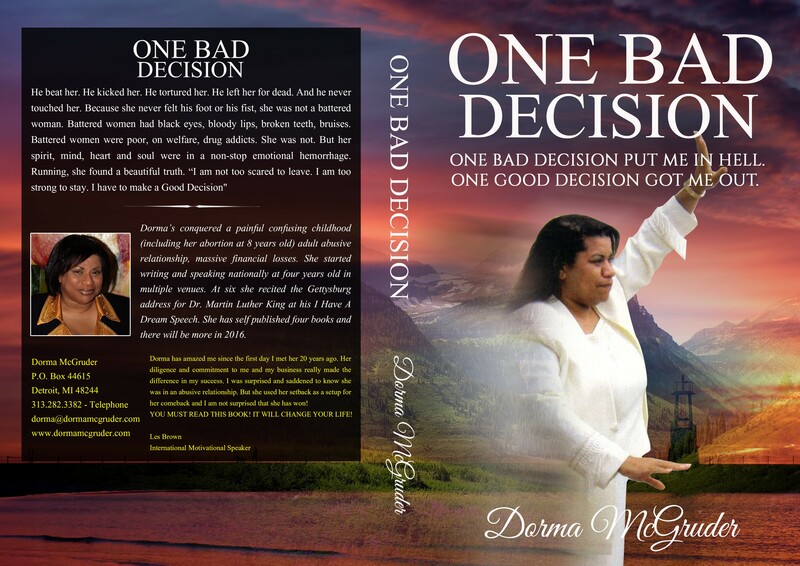 Dorma McGruder, for over three decades has authored and published her own books. 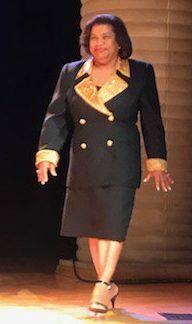 She has ghost written, audibly recorded and edited over 1,000 books, dissertations, articles, publications for: Entrepreneurs, Entertainers, Educators at all levels, Clergy, Politicians, Individuals. As an artist paints a picture and a musician plays a symphony, Dorma McGruder is an accomplished word artist in writing and speaking. She continues adding to her vast knowledge of innovation, technological development and expanding marketing channels. Her Power Point presentation of her book in front of over 8,000 international delegates resulted in a 5 minute standing ovation with an instant 80% increase in book sales. She visits extended care facilities, praying with and reading to residents; schools, reading to students, while motivating and encouraging staff. She is a lifelong learner starting every day with prayer, learning something new and ending each day absorbing what she learned.